Michelle Williams wore an AMAZING Jason Wu dress to the Venice Film Festival. I absolutely love this dress. So ladylike and beautiful! I found so many gorgeous sweaters for Fall at Shopbop and thought I would share some of my favourites. I'm sad to see the end of Summer but have to admit that Fall is my favourite time of year. 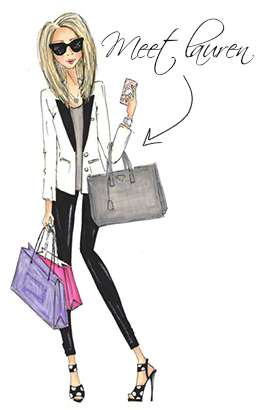 Fall shopping is the BEST! 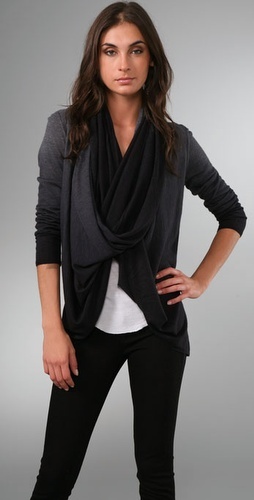 This HHN by Haute Hippie Hooded Cardigan is fantastic. I love the casual hood and can actually picture myself running around in this in Oct/Nov. This Jarbo Long Duster Cardigan is perfect for Fall. I love the colour and it looks really comfortable. 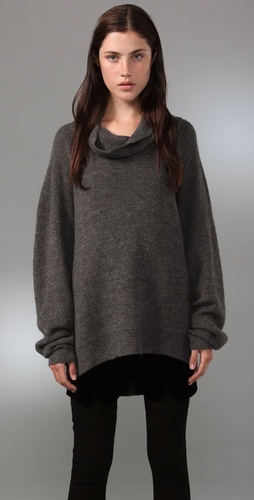 This Alexander Wang Cowl Neck Sweater looks SO COZY. 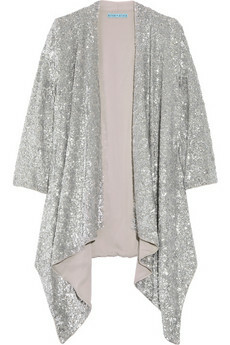 This Alice + Olivia Ombre Drape Cardigan is fantastic! I love, love, love the wrap around collar and that you can wear it open. It also comes in a light army colour which I really like too. I'm in love with a lot of Alice + Olivia pieces right now for Fall. Here are a few of my favourites - they all have a bit of sparkle. This Alice + Olivia Evan Sequin Stripped Sweater is a fantastic piece for Fall. I love that you could wear it casually or dress it up. Alice + Olivia's Tiered Lace Skirt is so pretty. Unfortunately, I'm on a clothing ban until I've lost all of my baby weight but this is on the top of my list for once I hit my goal. 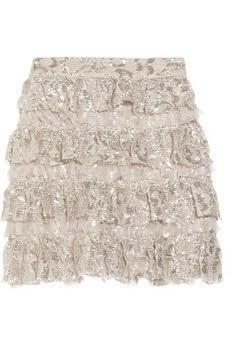 It would look fantastic with black tights and a black sweater during the Holidays. I love this Steph Sequin Jersey Cardigan. It would look amazing with jeans and a tank. So pretty!